Everyone has an opinion to spout on budget cuts, particularly when it affects their family. Everyone wants their share of the pie. For the past couple of years, military families have experienced a slow drip in their compensation—a little bit less in housing allowance, a small increase in co-pay at the pharmacy, and a tightening of the Tricare belt that reduces the number of good, locally available doctors willing to work with military families. It all adds up. But America wants more of its dollars back. They want military families to sacrifice just a little bit more pay and compensation to fund the mission. As the DoD’s Director of Force Structure and Resources Lt. Gen Mark Ramsay told Military Times, “Dollars we saved in pay and compensation…help balance out readiness and capability.” Indeed! 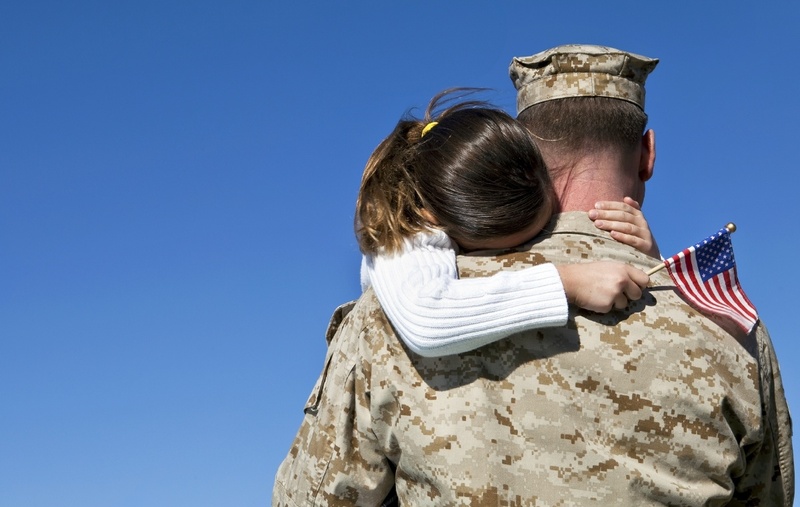 The military is used to “the mission” coming first, so who better to ask for a financial sacrifice than those directly affected—the military families who want their loved ones to have the best training, the best armor, and the best weapons to help ensure that they come home safely? Military families understand sacrifice; we live it every day. We’re geographically separated from our families, our social support networks, and—though less frequently in the last few years—from our deployed spouses. We've experienced budget cuts such as the curtailing on BAH rises, pay raises that don’t keep pace with inflation, delayed promotion boards, and the reduction in forces that leave large portions of our military without any retirement or healthcare to speak of despite years of sacrifice. The thing is, these cuts don’t just affect the military. They affect national security, and that affects everyone. Given the state of geopolitical events and the prospect of increased US intervention with regard to a deteriorating relationship with Russia, a rise in cyber warfare, and the rise of the Islamic State, the decrease in the military that we have witnessed over the past two years seems unsustainable. Nonetheless, the military budget itself is not sustainable. The military does not exist to provide jobs; the military exists to defend the nation. The reality is that you can’t have it all. Anyone who’s ever done their family’s budget knows that priorities must be established. The problem is, priorities compete. As you can see below, the priorities of leadership are divided, too. The Chairman of the Joint Chiefs, General Martin Dempsey, puts defense first in his priorities, which are noted up front and center on the Joint Chiefs website. His priorities list modernization second, improved professionalism third, and to “keep faith” with our military family a close fourth. Meanwhile, Ashton Carter, the newly appointed Secretary of Defense, has his own priorities. Carter lists decisions of security and defense first, servicemembers second, and modernization third. If every dollar must count, then how do we determine the best use of our dollars without undermining our nation’s security and without losing faith with military families? In looking at the priorities of just leadership in the military alone, we are left with the question of how the US can keeps its promise to those who serve and sacrifice for their nation without deteriorating the nation’s economy even further in the process? A weakened economy directly results in a vulnerable government, and subsequently, an ineffective military that is ill-prepared for future threats. MilitaryByOwner recently spoke with BG Mike Meese (USA, Ret. ), PhD, the Chief Operating Officer of AAFMAA, the nation’s oldest non-profit that supports military families with affordable life insurance that helps provide financial independence for survivors. He expressed his concerns for the future of a military increasingly threatened by cuts. As a retired veteran after 32 years of service, Meese, now a father of an officer and soon-to-be father-in-law to another, is apprehensive about the cuts to incentives that will help retain the best service members. He pointed out that our current military is older than it has been in recent decades. Unlike in a draft-based military that experiences high turnover of young service members, it’s now filled with older, well-developed leaders among the non-commissioned officers and officer ranks. The benefit of having an older military, Meese explained, is that these people can “provide the professional, technical, and practical expertise” necessary to help the US stay abreast of the uncertainties it faces. One drawback of having this older military population, however, is that unlike having a military of primarily 18-22 year-olds, older service members are more likely to be married and have dependents. They simply require that their career provides more compensation to maintain their family than a draft recruit would. These experienced leaders in our military—the ones who expect the compensation they were promised and the ones who rely on that compensation to support their family while they concentrate on “the mission”—are deemed the budget problem, though, writes the 2012 Armed Forces Insurance Military Spouse of the Year Jeremy Hilton in a recent article in the Huffington Post. The article discusses the trust deficiency that the government has created with its military. He explains that, inside the DC Beltway, an attitude exists that denigrates service member’s expectations for compensation that befits their expertise and professionalism. Retired Airman Carol Gee sees this attitude as yet another breach of trust by the government. She explained that she and her husband, a Vietnam veteran, “earned these benefits.” She believes that if the government’s budget is constrained, then it simply needs to find the money to fulfill its obligations to its service members elsewhere. “Let them use the money promised to help other nations,” she suggests. In what Hilton likens to a post-Vietnam era mindset, the Beltway inhabitants—think tanks, media, government, and so on—have conveniently forgotten amid the budget battles that they sent the military to war. The American people sent service members to fight on their behalf half-way around the world; service members do not initiate and execute wars of their own volition. Now, when faced with a constrained national budget, the Beltway inhabitants want to turn the blame for the rising cost of war back onto the service members. They just want to be paid for their work. Wouldn’t you? Pay your bills. If you hire someone to fight a war on your behalf, you must pay them. Meese also believes that you get what you pay for. If sequestration cuts continue, he explained that they could constrain leadership development, training programs, and readiness programs to the point where good service members believe that they “cannot effectively achieve their mission” and then simply leave the service. Meese emphasizes that people are the priority. We know neither the technology nor the threats of the future, but we do know the future leaders who will handle those threats; they’re the current classes of ROTC and Academy cadets. By investing in people, he says, we will be able to leverage the technologies that do exist in the future, and thus face whatever threats come our way.